When I decided to start a food blog in October last year, at the breakfast table on a cold and misty morning in Berlin, I had no idea what I was getting myself into. I felt recklessly excited, so much so that I made a big decision which changed my life drastically in the past twelve months. My goal was to share a recipe a day, for at least 1 year. I was so inspired by this idea, my head was full of recipes and stories that I wanted to write down on the as yet empty pages of eat in my kitchen. I knew I would have enough of a repertoire to cook, to bake and to talk about for a few years so I thought I might as well share all this with the world once a day. It has been intense if not tense at times, I completely underestimated how much time it would take to capture a dish in mouthwatering photos, to describe what I do in my kitchen, what your taste buds can expect, but also to inspire you to go to your own kitchen, to pull out the pots and pans and trust me. When I shared the first recipes, I didn’t think about the fact that you would have to believe me that my recipes would work out for you as much as they do for me. You would have to buy the ingredients, take some time out and cook with the same excitement that I felt. At one point, after I had been writing for a few days, it clicked, I understood what it meant and it overwhelmed me. Until today, every time I get an email from someone who felt enticed by one of my posts and cooked or baked my recipes and tells me about the result, I’m as happy as a child at Christmas. 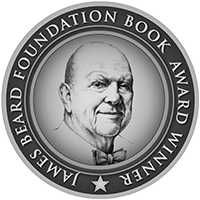 It’s a wonderful experience and there are no words to describe how thankful I am for this journey which put so many amazing moments into my life, and a written collection of more than 365 recipes! In the past few months, I’ve written a lot about enjoyment, culinary pleasures and the fun of cooking in your own kitchen and treating the ones you love with the fruit of your work, that’s not a cliché, this fills me with true happiness. No matter if the final result on the table is mind-blowing or if a recipe still needs some work, the time spent creating this meal is precious. No one forces us to put our money into good quality and natural ingredients, no one tells us to turn them into a delicious meal, it’s our decision, one that we make every day to treat our body well but also to let our minds rest. Beyond all the satisfaction which my taste buds get from a great home cooked meal, I call my daily dinner a feast because I feel complete bliss as soon as I go into my kitchen to get out the vegetables and knifes, to chop and stir, to taste and experiment. I take this time out for myself, sometimes I get the record player started, open a bottle of wine, and I slow down my pace, always. There are a million other things I could do instead but I decided that this would be a part of my life, this is what I would do every evening for a couple hours. This choice has always been a gift and it still is, as it has given me some of my best memories, all saved in food. For about three days, I thought about a recipe which I would like to share with you today. I was looking for something which tastes exceptionally good to celebrate this special day, but I also wanted to write about an experience which I felt quite a few times in the past year, to struggle, to doubt, to feel like giving up but in the end, to trust and follow your inner voice which guides you into the right direction. One of the earlier dishes I made for eat in my kitchen, was a rabbit stew. It tasted fantastic but it didn’t look pretty and I had no experience whatsoever capturing every kind of food deliciously in a picture. I was used to taking photos of our dinners or lunches once in a while to freeze the moment but not to make it look good and appealing on a plate. So I sat on the floor of our kitchen, crying, it was late in the evening, my boyfriend was my light man standing on a chair and holding a fluorescent tube from the hardware store, trying to make it work. The scene was ridiculous and so funny at the same time, at least now when I look back! It didn’t work out, the rabbit never made it onto the blog and that night I thought I would give up, but instead I made a few changes and moved on. No more artificial light and no more stews until I felt experienced enough to capture their rustic beauty in a photo. 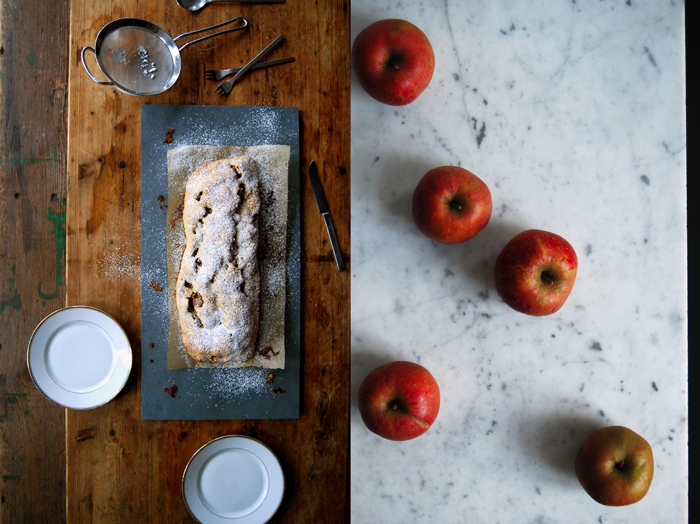 I’m not going to share a rabbit recipe with you today but another advanced kitchen task, Tyrolean apple strudel. This isn’t a quick and easy cake but it teaches you to trust. It’s a bit of a challenge but it will reward you with one of the greatest enjoyments of the sweet world, pure buttery fruitiness. 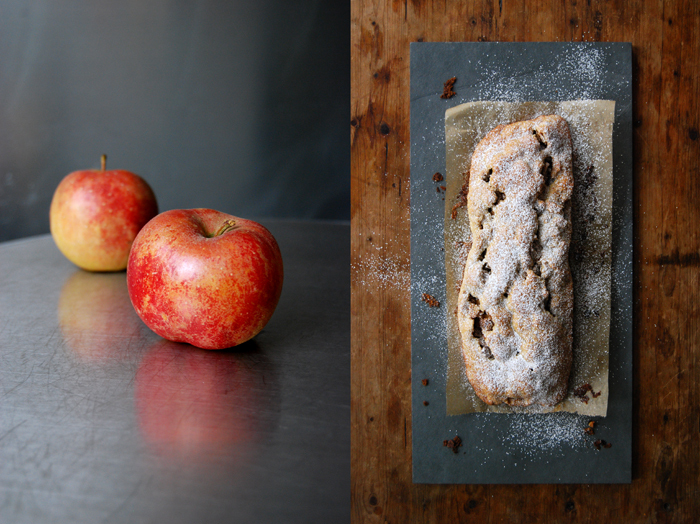 The strudel is filled with lots of apples, raisins and spices all wrapped in a cinnamony short crust. 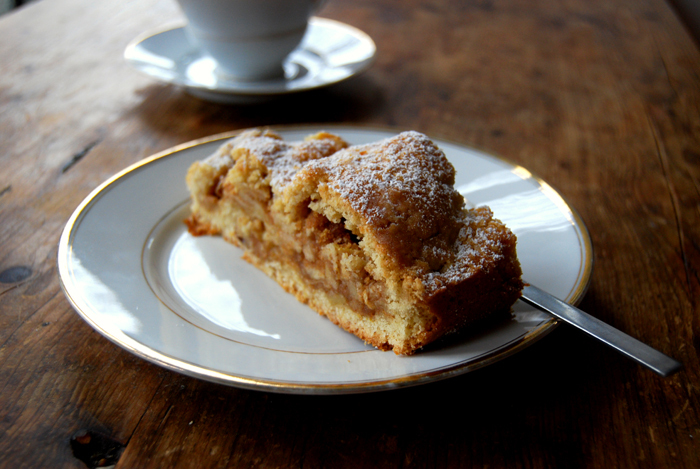 The pastry isn’t crisp like a pie, it’s a bit soft, almost juicy which makes it quite delicate to handle. There is another strudel variation made with a very thin and flaky dough called Ziehteig in German but I prefer my strudel with short crust. It’s my favorite of all strudels, buttery, soft and slightly crisp on the outside. The final result is fantastic but you will have to work for it and trust yourself and maybe improvise at times. There may be moments you want to give up, when you feel that you can’t get it right and for a second, you believe that it’s over, you’re done with it (although it’s just a cake, it can feel quite dramatic). But then, out of the deepest corner of the mind comes a spark, a pull, like a defiant little child that doesn’t want to accept a “no”, and this feeling that seems like a mood at first, doesn’t want to fade, it grows instead until it becomes a force. It fills you up with energy again, confidence, the exact power you need to overcome this low, because that’s what it is in the end, nothing more and nothing less than a low that will pass. Maybe these words fit more to my last year than to a strudel but anyhow, it can feel similar in the kitchen at times. 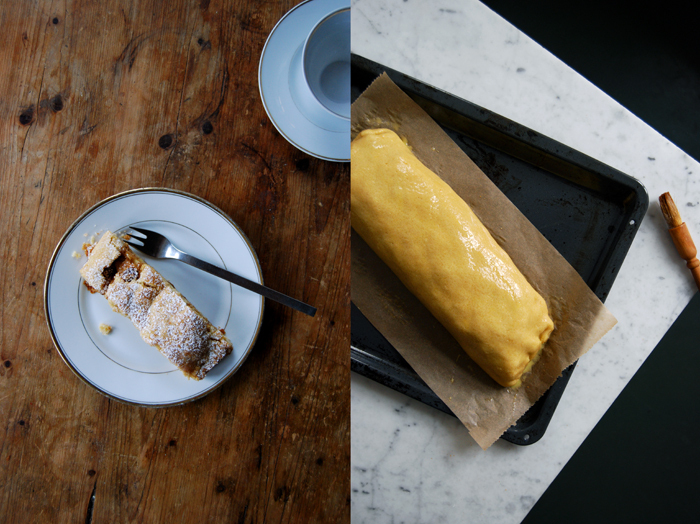 So back to my strudel, the first 10 minutes in the oven are the critical phase, it can be tricky. The dough can crack, it happens sometimes but it’s not a problem, you just have to close it again. And here’s when the trust comes in. 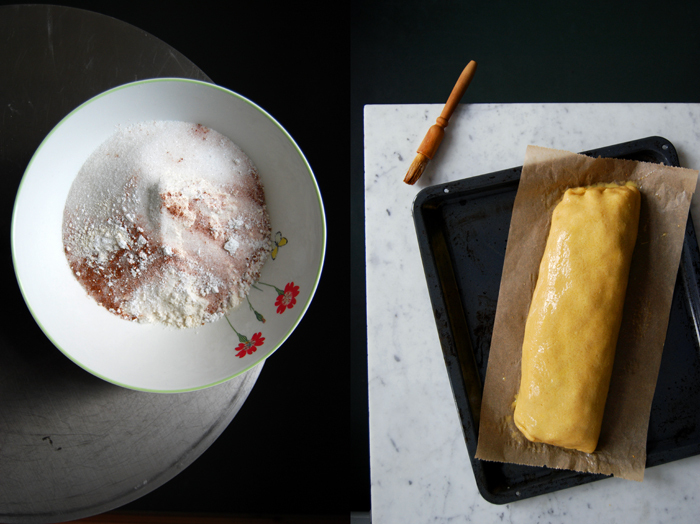 I’ve been making this recipe for almost 15 years but today’s strudel opened more than any other before as I took my time taking pictures so the pastry got warm. I was used to a few cracks on the top which you can easily close with two spoons, but this time, one side opened completely. So I had to react quickly, I pulled the pastry up again with the help of the parchment paper and stabilized it with small baking dishes on each side. I got a bit nervous but it worked, as always. And maybe that’s one of the biggest lessons I’ve learned in the past year, not for the first time in my life, but with a kind of intensity I never felt before. As long as you don’t give up and trust everything will work out. The peace discovered through this experience is a treasure. I want to thank you so much for joining me while I fill these pages of eat in my kitchen. 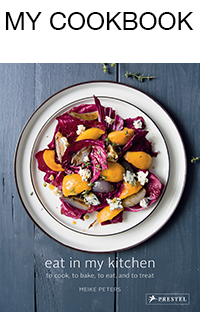 I hope you enjoy the time in the kitchen and at the table with these recipes as much as I do. There will be many more to come, not every day but about four times a week. I need a little break once in a while to feed my inspiration. Thank you to my mother and my whole family in Germany, Malta and in the US for being such an amazing inspiration to my kitchen and a big thank you to my boyfriend for his patience! Combine the flour with the sugar, salt, baking powder and cinnamon. Cut the butter with a knife into the flour until there are just little pieces of butter left. Continue with your fingers and rub the butter into the flour until combined. Add the egg and continue mixing with the hooks of your mixer until you have a crumbly mixture. Form a thick disc, wrap in cling film and put in the fridge for 1 hour. Roast the breadcrumbs in the butter, stirring constantly until golden brown. Let them cool. In a large bowl, mix all the ingredients for the filling apart from the sugar. It would pull the juices out of the apples so you add it when the filling is spread on the pastry. Set the oven to 180°C / 355°F (fan assisted oven). Roll out the dough between cling film, about 35 x 30 cm / 14 x 12″. Take the top layer of cling film off the pastry and put a large piece of parchment paper on instead. Flip the dough around so that the parchment paper is at the bottom and take off the cling film on top. Gently spread the filling evenly on the pastry but leave a 2cm / 1″ rim around it, sprinkle the filling with the sugar. Carefully roll up the dough from the long side, it should be quite tight, if possible, push the apples back in that fall out. When the strudel is rolled up put the fold at the bottom and close the sides by pushing the dough together. Quickly move the strudel on the parchment paper onto the baking sheet, brush with the egg wash and bake for 40 minutes or until golden brown. 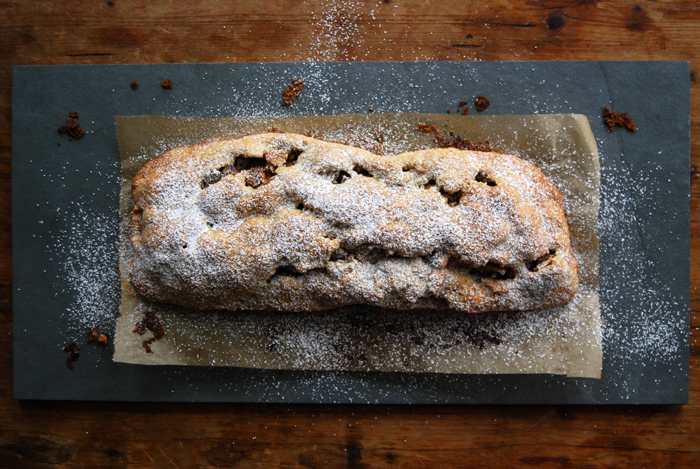 Watch the strudel in the first 10 minutes, if it opens, quickly close it with the back of a spoon. If it opens on the side, pull up the parchment paper to put the pastry back into place and hold it in place with a small ovenproof dish put right next to the strudel. When it’s done, take it out of the oven and let it cool on the baking sheet for a few minutes before you sprinkle it with icing sugar. Enjoy pure, with whipped cream or custard sauce. In a sauce pan, bring the remaining milk with the vanilla pod to the boil. Take the vanilla pod out and scrape the seeds out of the bean into the milk. Add the egg mixture to the hot milk, whisking well. Take the sauce pan off the heat after 1 minute and continue whisking for 2 minutes, serve hot. Thank you for sharing your exquisite recipes, and for your creativity. Love your pictures, it’s very inspiring. Wow! One YEAR!! Good for you! You do amazing work and I look forward to your posts!! Congratulations on all that you’ve achieved over the last year. 365 days of recipes is amazing! Thank you Kathryn! It’s been a great year! Happy birthday Meike ! For ten months (I discovered “Eat in my kitchen” at the beginning of this year), I take few minutes, almost each day, to have a look at your blog. It’s always a pleasure. How many recipes did I “borrow” you ? Even today, for lunch, I prepared your “raclette, ham and rosemary sandwich”. Thank you for sharing all your good ideas. Well done Meike, your an amazing cook/person and I salute you for achieving your goal! Congratulations on one year blogging, Meike! 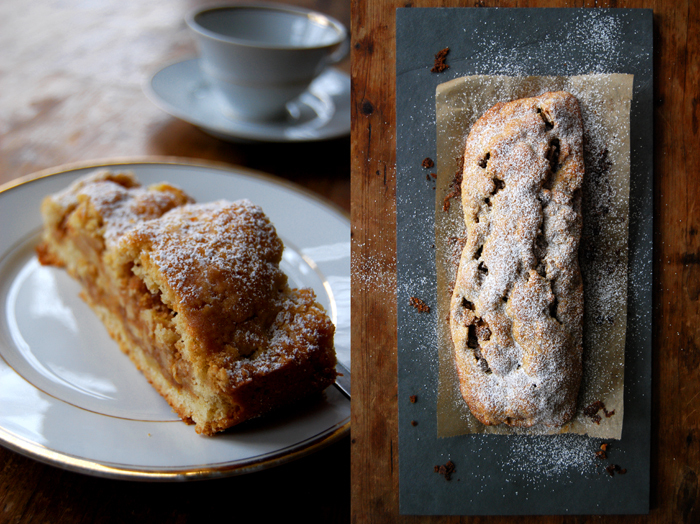 I really enjoy your photography and recipes…have tried several of them and not been disappointed. Congratulations, Meike, on the One Year Anniversary of your blog! It is a gorgeous, well-written one, a pleasure to visit! 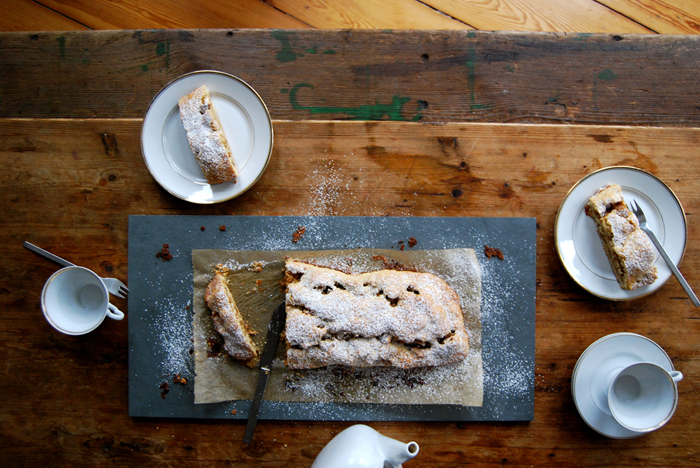 I must make this Strudel for Thanksgiving Day dessert!! Wonderful recipe!! Thank you so much Susan! It’s been such an amazing year and your words about the blog really touch me! 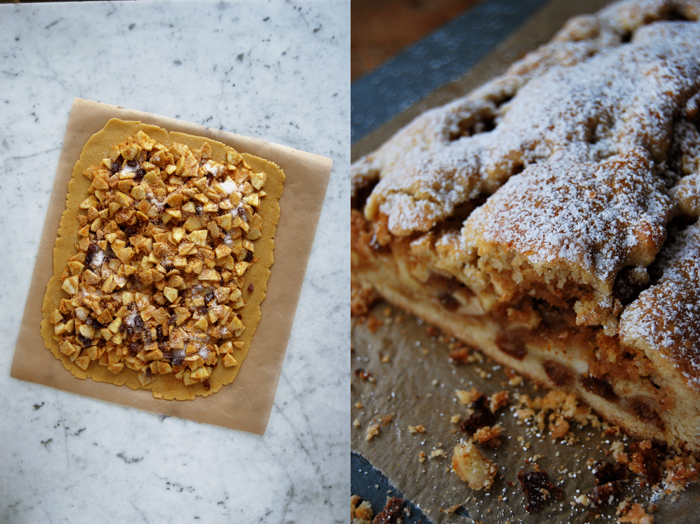 The strudel would be great on a Thanksgiving table, delicious and festive, enjoy it! Hoffe, dass Du noch laaaaange weiter machst. Dank! Happy blog-birthday, Meike. Thank you so much for sharing your recipes, your experience and your thoughts over this past year. It is always so rewarding and quite mouthwatering to read your blog. I love your pictures, I admire that you really kept it up every day and I thoroughly enjoyed the recipes I tried. And don’t forget, there are Mirabelles waiting for you at Tübingen. 😉 Happy cooking!